The gallery exhibits both figurative and abstract work from established, award-winning & emerging talent and has developed a style that has earned it a loyal following. 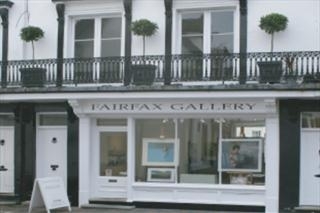 The gallery also attends major UK Art Fairs including London Art Fair - Islington, Affordable Art Fair & Glasgow Art Fair. That gallery offers to chance to view work of a standard rarely seen outside London in relaxed and peaceful surroundings. To ensure the very best experience, this website is set to "allow all cookies". You consent to this if you continue or you can click "Change Cookies"to set your preferences.